When many of us think of pool dangers, drowning is often the first thought that comes to mind. Yes, it is important to protect your pool to reduce drowning-related accidents and deaths, but there are other steps that you will want to take as well. One of those steps involves practicing proper pool care and maintenance. For starters, it is important to keep pool water clean, clear, and debris free. Large debris, such as a small tree branch, should be removed immediately. This does pose a risk of drowning, as swimmers may become entangled. Even small debris, such as leaves and insects, should be removed promptly. The good news is that it is very easy to remove debris from a swimming pool. As for how debris can be removed, a pool skimmer can be used. What you may like are the choices that you have. Did you know that there are automatic pool skimmers available for sale? These are pretty neat, but keep in mind that they only remove debris from the surface of the water. For that reason, even automatic pool skimmers should be accompanied by the traditional skimmers on a pole. Next, pool filters should be regularly checked and cleaned. Every summer, the filtration system is one of the first things that should be checked. Why? Because it works to keep the pool’s water healthy and clean. Filters work to remove debris, even debris that can’t always be seen by the human eye, such as small dirt particles and tiny skin flakes. Be sure to check all drains to ensure their covers are intact. Damaged or faulty pool drains do pose a significant safety hazard. All aboveground and inground pools should be treated with chlorine. Chlorine helps to keep a pool clean and germ-free. According to the Center for Disease Control and Prevention, otherwise known as the CDC, this isn’t a process that happens right away, which many are surprised to learn. That is why all pool owners are asked to check and monitor their chlorine levels. Levels should be kept at the levels recommended by either the pool manufacturer or the health department. As previously stated, it is important to make sure that your swimming pool has enough chlorine in it, but you don’t want to have too much. Increased levels of chlorine can have a negative impact on swimmers. Symptoms or signs of too much chlorine include skin and eye irritation. Typically, you can tell right away if your pool has too much chlorine, as it has a strong order. Testing can also be performed. To treat this, dilute the water or give the sun time to do its job. In addition to aboveground and inground pools, proper care and maintenance are also important for small pools, also commonly known as kiddie pools. In fact, proper care and maintenance may be even more important. This is because these pools are rarely sold with filtration and drainage systems. Whenever the water becomes cloudy or dirty, change it. Cover the pool with a plastic sheet or a pool cover that is designed specifically for kiddie pools. As an important reminder, the best way to practice pool safety this summer is to outfit your swimming pool with a safety fence, cover, and pool alarm. Although don’t discount the benefits of having a clean and germ-free pool. With several different swimming pool designs and equipment out there, thinking in terms of safety can be very confusing. From different swimming pool liners to buying different toys, you surely have a lot to choose from. You can always ask questions at a local supply shop to find out more, as the experts there can surely help you. There are a lot of needs with swimming pools, especially when you get everything you need. The first thing to do when inspecting your swimming pool is to figure out your average depth. Your average depth will help you determine your swimming pool capacity. You can figure out your average depth by adding the deep end to the shallow end, then dividing by 2. The average depth tells you a lot about your swimming pool, including the design and capacity. Once you know your average depth, you can pretty much buy any accessory you need without any problems. Your design of swimming pool will help you in choosing the best cover for your swimming pool. There are a few covers to choose from, most of which vary from season to season. You can use different covers for summer, spring, and winter, each one offering you something different in terms of protection. Nearly all supply shops have a lot of covers to choose from, and as long as you know your design - you can further inspect your pool and select the right cover. Once you know your average depth and capacity for your swimming pool, you can move on to other inspections. The liner is next, as it protects the quality of your water. A liner will maintain the pH level of your water and help prevent algae from forming and growing. When you inspect your pool to select a liner, you should think in terms of material. Most are plastic or vinyl and can provide you plenty of attraction along with great protection as well. With your swimming pool, you’ll also need to think and inspect your swimming pool in terms of safety. If you have a belowground swimming pool, you should always remember that it can attract a lot of visitors. Due to this fact, you should always have someone watching the pool, or an adult around at all times who can swim. Or, you can simply use a locking gate that surrounds your pool to keep people out of it when you aren’t around. Another area of swimming pools that most people find enjoyable are the toys and accessories. The more must-have accessories and toys are goggles, as they will help little children protect their eyes from the chlorine. You can also find several different types of floats as well, as they are fun to lay on and also help kids stay afloat. Swimming belts and water wings are great as well. If you have thought about adding toys to your pool, you should always look around and shop for the best prices. Inspecting your swimming pool can be fun, although it is something that you simply must do. You can inspect in terms of maintenance as well, although you’ll need to inspect your pool before you buy any type of equipment or other things for your pool. When you visit your local pool supply store you’ll need to know different things, which is the reason for inspecting. Inspecting your swimming pool doesn’t take a lot of time - yet it is something that you simply must do if you want to get the best out of your swimming pool. When most of us think of summer and hot days, the first thing that comes to mind is a swimming pool. A swimming pool provides relief from hot summer days and gives us a chance to simply relax, enjoy ourselves, and take in some exercise. Although they are most common with hot summer days, swimming pools are also great indoors as well, providing year-round swimming. Indoor swimming pools have become very popular over the years, especially in gyms and other facilities such as the YMCA. At a gym or YMCA, indoor swimming pools are a great way to cool down after weight lifting or a great way to get in some cardio exercise. Unlike outdoor swimming pools, you can use an indoor pool year round - without having to worry about the weather. If you don’t like to join gyms or if you find the locations of indoor swimming pools to be crowded, you may be interested in having an indoor pool at home. This is very possible these days, due to indoor pools being more affordable than ever. The first thing you’ll need to do before you can get one though is making room for it. If you don’t have the space to store a pool inside, you may need to add a room to your home to put the pool in. If you have the money to spare, an in the ground indoor swimming pool will provide you with plenty of room to swim laps and have a lot of friends over with plenty of room to spare. This may cost a lot of money though, which rules it out for many of us. You’ll also need a big room for this type of pool as well, as it can cover a lot of space. If you don’t have a lot of money to spare, you can use an above ground pool instead. You’ll still need to room to store it, or you can again add on to your home. Adding on to your home will help to raise the overall value of your property, which will be a major plus later on down the road if you decide to sell your home. Indoor swimming pools hold a lot of value, especially if you have it constructed yourself. When you have your swimming pool set up indoors, you’ll need to have a professional do everything. Although you may think you can do everything yourself, it will prove to be a bit more complicated than you may think. Professionals know exactly what they are doing, and won’t have any problems at all. They will also do all of the work for you, and contact the necessary officials to make sure that your indoor pool conforms with state and local laws. In more ways than one, an indoor swimming pool can provide you with a lot of fun and excitement year round. Indoor pools have a lot of benefits, also providing to be great for those who have back trouble or other medical ailments. Even though the pool is indoors, you can also invest in a heater for your swimming pool and keep the water a certain temperature whenever you decide to jump in and take a swim. You can find everything you need for an indoor swimming pool online or through your local swimming pool supply store. If you need to add on to your home first, you may want to contact a carpenter first. Once you have everything you need and you get your indoor pool finished, you’ll be amazed by the results. You’ll be able to go swimming anytime you like, day or night - in the privacy of your own home. Chlorine tablets come in dimensions of either 1 inch or 3 inch. Chlorine tablets go in your skimmer, normally 3 - 4 tablets at a time. During the summer, when you run your pool on a daily basis, you’ll need to change out your tablets every week or so. If you are planning to use 2 skimmers, you’ll need around 8 tablets each week. You can buy chlorine tablets by the bucket, containing 30 - 50 tablets. They can tend to get expensive, around $80.00 a bucket, so you’ll need to have plenty of money to invest in your pool during the summer. Even though chlorine in your water will help to kill off germs, it can also raise the level of acid in your pool. If you aren’t using enough alkaline, parts that contain metal will begin to corrode, turning your water a misty green color. On the other hand, if you are using too much alkaline powder, the water will get very cloudy, raising the level of germs in the water - which can lead to very dangerous health issues. In order to get the right about of alkaline powder in your pool water, you should always use brand name alkaline powders in the amount recommended by the package. Chlorine powder is essential to killing germs such as algae and bacteria that exist in your pool and multiply at very fast speeds. To kill off these germs, you’ll need to use a large amount of chlorine powder in your water. Depending on the size of your pool, you may need to use more powder than others. Chlorine powder can tend to be expensive, so you should always check how much you need before you buy. This is a chemical you must have, as it’s impossible to keep your pool free of germs without it. If you have already bought it or if you plan to buy a large supply, you shouldn’t worry as you’ll always have the need for it - meaning that you can never buy enough chlorine powder. All across the United States, there are many homeowners that have pools in their backyards. Unfortunately, not all backyards are the same. This means that although your neighbor’s pool may require only a small amount of maintenance and cleaning, yours may require more. Regardless of the debris in your backyard, your pool will need to be cleaned. You just may have to clean it more often than others. Whether you clean your aboveground pool on a regular basis or whenever it needs it, you will have to purchase pool cleaning supplies. One of the ways that you can familiarize yourself with cleaning supplies, for aboveground pools, is by browsing through the products that are currently available for sale. You can easily do this by visiting the website of an online pool supply store or by visiting your local pool supply store. In addition to pool supply stores, you may find other retailers, including sports stores and department stores, that carry pool cleaning supplies. While browsing through the cleaning supplies at a pool supply store, is a great way to learn about cleaning products, it will not necessarily keep you informed. Anyone can look at a store shelf or a product description, but those things will not enable you to determine which products are the easiest and most effective ways to clean your aboveground pool. That is why you may also want to consider using the internet to research pool cleaning supplies. When using the internet to research pool cleaning supplies, it is likely that you will find manual cleaning supplies and automatic cleaning supplies. Popular automatic cleaning supplies include pool vacuums. Pool vacuums are an ideal way to clean your pool with as little hassle as possible. There are some vacuums that may also be considered manual; however, there others that are completely automatic. Pool vacuums that can operate without your assistance are often referred to as robotic pool vacuums. If given the opportunity, most aboveground pool owners would choose to have automatic cleaning supplies. However, not everyone prefers to go with the most modernized equipment. If you are one of those individuals, you may want to examine manual pool cleaners. Many times, these manual cleaners include skimmers and scrub brushes. While you may only want to purchase one type of aboveground pool cleaner, you may want to consider purchasing both. Despite the fact that automatic pool cleaners are nice, they do take some time to clean the pool. This means that if you are looking to take a quick swim, you may not have time to clean your pool. If you have a skimmer or another similar product on hand, you could easily give your pool a quick clean before going for a swim. Whether you are interested in purchasing manual cleaners, automatic cleaners, or both, you are advised to do so right away. The longer that your pool goes without cleaning; the harder it will be to clean. That is why it is advised that you always have the adequate amount of pool cleaning supplies or equipment on hand. Having your own swimming pool in the backyard is a great way to spend your time. Everyone in the family can enjoy it! However, there are some common swimming pool problems that can come along and prevent that from happening. Knowing what to watch for is very important so that you can prevent severe damage from occurring. Routine maintenance is very important to the longevity of your swimming pool. If you hear any types of unusual noises you need to investigate. Chances are it is a sign that your pump or your filter is clogged or going bad. Always make sure you have the right size of pump and filter too for your size of swimming pool. You can find out these specifications online or from a swimming pool dealer. If you have an older swimming pool you may find it is a good idea to update your pump. The older ones don’t seem to last like the newer ones due to the technology behind them. Any time you get a new filter or pump for your swimming pool try to get one with a very good warranty. You will find that you have a water pressure gauge as well. Too many swimming pool owners don’t pay attention to it though. However, with a close eye on it you will be able to prevent serious problems from occurring. Make sure you know what the pressure should be. When it climbs up higher it is a strong indication that your filter is blocked or that it needs to be replaced. This higher pressure makes the pump work harder too so you may end up having to replace more items that you would have if you don’t keep a close eye on that pressure gauge. It can be tempting to forego various types of testing on your swimming pool due to things being right all the time. Still, you need to stay in that habit because as Murphy’s Law goes, once you don’t check it something will be array. Never let the Ph level get higher than 8.0. Ideally it should be from 7.0 to 7.6. Some people never check their Total Dissolved Solids either so make sure you do so. Some people do it monthly while others do it every six months. If you find you have trouble with calcium build up then that is an indicator you need to check the Total Dissolved Solids more frequently. It is very important to keep the area where you place the chlorine clean too. Check it each time before you add new chlorine tablets to it. They tend to built up calcium and that will result in you not being able to get the chlorine you need to your swimming pool. As a result of this plenty of other problems can occur. Make sure you take the time to remove built up from the trap at the pump too. You will be amazed at what gets caught up here. Mainly it is hair which can clog it and block the water from flowing through the pump like it should. This can also result in the pump working too hard and that will reduce the overall life span of it. Many experts will tell you to add your chemicals to the water after the sun goes down. This way less of them will be evaporating during the day. This is especially true if you live in areas where it gets into the 90’s or 100’s during the summer months. If you can’t commit to adding the chemicals in the evening then do it as soon as the sun comes up. At least that way your chemicals will have a few hours to sit in the water before the sun is beating down on it. By avoiding common swimming pool problems you will find you enjoy it more. You also will reduce the overhead expensive associated with owning one. Routine maintenance is the key to having a great swimming pool that doesn’t continually have one problem after another for you to contend with. The beauty and relaxation provided by a swimming pool is nothing short of spectacular. On a hot day, a pool can be a blessing. On the other hand, a swimming pool can also be a headache if it isn’t cared for properly. 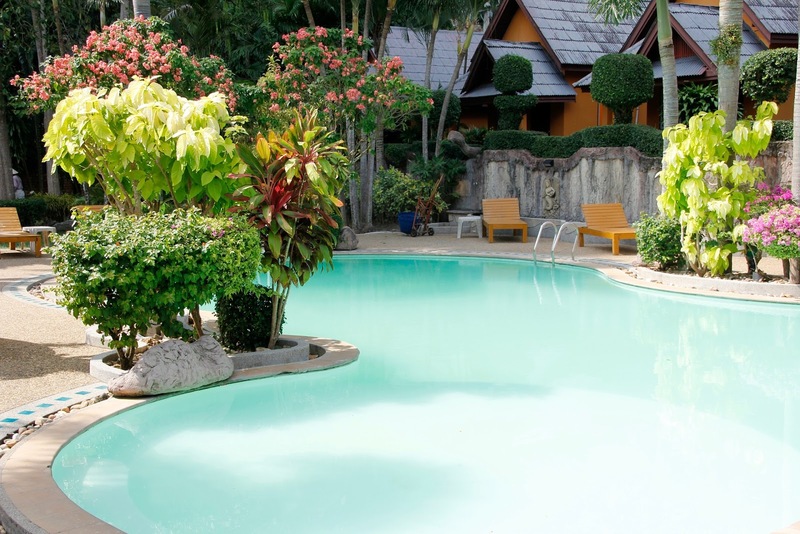 Swimming pools require a lot of maintenance, including time and money. 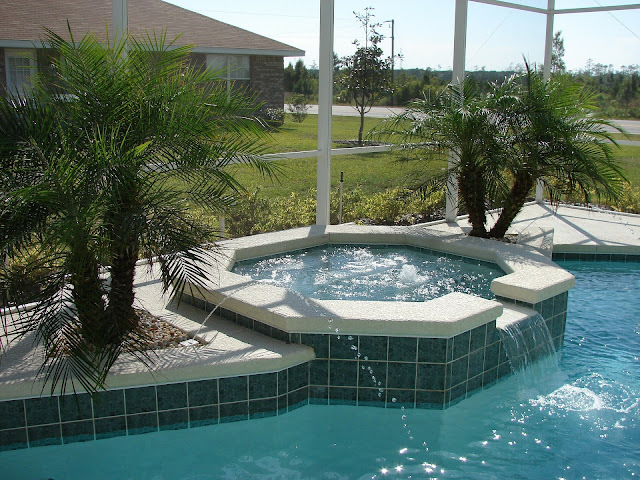 No matter what type of pool you have, you’ll need to perform regular maintenance on it. By owning a swimming pool, you assume the task of keeping your pool clean and safe for yourself and anyone who swims in it. Maintaining your pool doesn’t have to be a hard task or consume a lot of time, if you know what you are doing. If you follow the advice of a professional and perform regular maintenance on your pool, you’ll keep it healthy year round. To put it bluntly, you should check on your chemical balance from time to time, and make sure that the water is safe for swimming. You’ll need to ensure that you keep debris out of your pool, and that the water remains healthy. If you filter your water on a frequent basis, you can keep the chemicals moving about and keep the water safe for swimming. The weather outside and how often you use your pool will greatly contribute to the condition of your water. If you don’t have your chemicals balanced properly, the sun can quickly turn your water to a green, musty color. If you live in an area that is known for hot weather, you’ll need to make sure that you keep your chemicals properly balanced at all times. 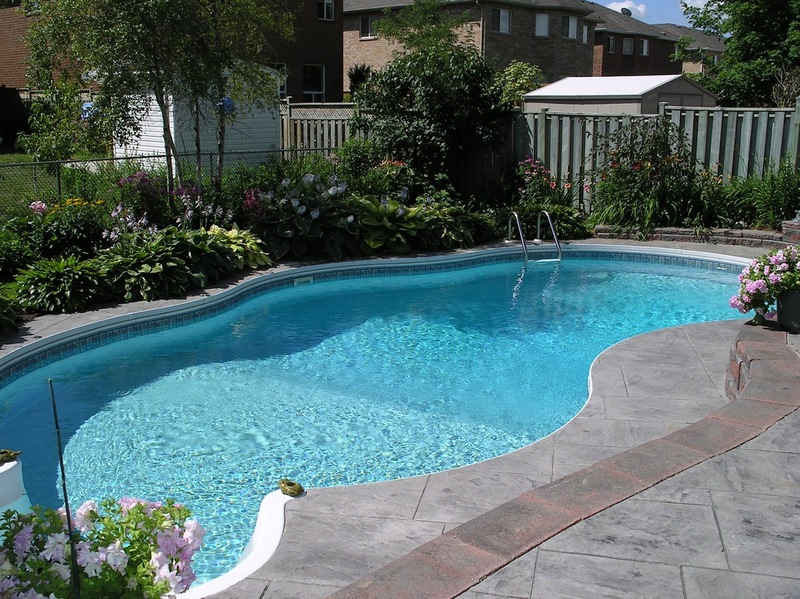 A swimming pool will naturally attract leaves, insects, dust, hair, and other forms of debris. No matter what you do about it, you can never prevent things from getting in your water. If you don’t clean your pool on a regular basis, the pollutants that get in the water can lead to bacteria and algae, which will quickly destroy your water. If you sanitize and clean your pool on a regular basis, you’ll help to keep it clean and free from bacteria and algae buildup. If you don’t have the time to clean your pool yourself, you can always leave it to a professional. Professional pool cleaners don’t come cheap, although they will clean your water and your pool, and ensure that your chemicals are properly balanced. You can schedule a time for a cleaner to do his job, normally once a week or so. Once you have started using a professional, you may find his services great and never want to go back to cleaning your pool yourself. With the help of a professional - you can rest assured that your pool will stay clean year round. It can take a considerable amount of water to fill up your swimming pool. The overall amount of it as well as the time will depend on the size of swimming pool that you own. It is very important that you go about it the right way. That way you won’t end up using any more water than you absolutely have to. Starting out with a very clean swimming pool is important. Take the time to remove any dirt or debris that may have found its way inside. You don’t want the new water to be dirty from the very start. You also need to do some checking around with the various pieces of equipment. Even if your items are new don’t skip this important aspect of things. Make sure the filter and the pump both work like they should. You don’t want to turn on the pump though until you have the swimming pool filled half way with water. Otherwise you run the risk of burning it up. You do want to have the circulation system on the entire time while filling up the swimming pool though. Even though it can take many hours to fill up the swimming pool someone needs to keep an eye on it. Don’t turn the water on and then leave your home. Someone needs to be there to turn off the water if there is any type of problem that develops. It isn’t a good idea to allow it to fill up overnight either due to the same issue. Don’t be tempted to add any types of chemicals to the swimming pool until you have filled it up. Then you can add only what you need to based on the size and type of swimming pool you own. Make sure you are very careful with this process. If you don’t balance things out correctly you may have to drain the water out and start all over again. This isn’t going to make you happy or reflect well upon your water bill next month. Make sure you have all of the supplies on hand that you will need to stabilize the water. Use your testing strips to determine where everything is at with it. One of the most important aspects to pay attention to is the Ph level. You may need to add various chemicals to get it where it should be. There are testing kits with strips that you simply place in the water and then compare the color it turns to a chart. While adding water to your swimming pool can be the most time consuming aspect of it, definitely worth the while. You want to have clear water that has the right mix of chemicals in it for you to swim in. You don’t want to worry about bacteria, algae, or your skin drying out. If you do your part from the very start with filling up your swimming pool you won’t have any problems with it at all. In some areas there are water restrictions that apply as well. You may find you have to get a permit to fill up your swimming pool. If you are restricted to a certain amount of water to use or certain days and hours you need to follow them. It will take longer to fill up your swimming pool but conserving water is very important for your community. Winter can seem like eternity depending on the weather during that span of time. There is plenty of work to be done in order to prepare a swimming pool for the harsh weather of winter. If you do it correctly though it will be in great condition as the warmer weather rolls around. You will then need to perform some tasks in order to get it ready for your enjoyment. Being ready for these tasks will ensure you have your pool ready on time. You can do them a few weeks before it is time for swimming to start too. That way you have time for repairs and replacing parts if necessary. If you have a heater you need to use it will give the water time to get to the desired temperature as well. Even in the summer months some people require a heater to keep the water right for night swimming. You should have a sturdy cover on your swimming pool. Before you remove it you want to remove any dirt, debris, or water that has accumulated on the top of it. Otherwise you risk those things being dumped into the water remaining in your pool. A shop vacuum works very well to remove these elements from your cover. If you have a winter that is full of rain or snow falling then you should be doing this on warm days as well so that you don’t let too much of it accumulate. Wash the cover off with soap and water before you put it away too. There could be bacteria and algae that has grown on it over the winter months. Make sure you allow the cover to completely dry before you fold it and store it. Failure to do so can result in mildew forming on it. Even if you did everything correctly to prepare your swimming pool for winter you need to check it all again. Sometimes there is damage that results due to the colder weather setting in. Look for leaks and cracks in hoses that can pose a problem for you. Check the filtering system and the pump over. If you have a heater for your swimming pool make sure you carefully inspect it as well. Even with the cover on the swimming pool there can be bacteria and algae in there. This is the perfect time to give it a very good cleaning. You can use a robotic cleaner on the sides and bottom or you can do it by hand. Vacuum the bottom of the swimming pool as well. If you had to drain all or some of the water from the pool add it back in at this time. Once your water level is where you want it you need to test it out. Finding out the Ph levels at this time will allow you to decide what chemicals to add. If you have left over chemicals from the season before make sure they have froze or gotten damaged over the winter. If you discover they have then toss them out so you can be sure what you do add to the water will be effective. If you have lights, ladders, and non-skid mats to put out then do so before anyone gets ready to use the swimming pool. It can be easy to forget these items but they need to be in place for safety. Check the screens on these items as well to be sure nothing is loose. You want everything to be in perfect working order for the swimming weather that is right around the corner. Get into the routine of keeping all of your supplies for the swimming pool in one central location. That way you will know exactly where everything is when it is time to get ready for the swimming season. Take your time to set things up correctly this time of the year as well. That way you can focus on enjoying your swimming pool instead of dealing with one problem after another. For many people having a swimming pool is something they can only enjoy certain times of the year. It may be too cold for most of the winter months to be able to swim in it comfortably. Taking the time to properly winterize your swimming pool will help ensure it is ready to go again for you when the warmer time of year rolls around once again. Some people completely remove the water from their swimming pool. Yet this can be very expensive when you consider the volume of water being wasted. A better alternative is to save the water in it properly. That is the route to take if you think there will be some warm spells during the winter when you may actually get to spend some time in the swimming pool. You want to clean your swimming pool out very good as the first step to winterizing it. Remove all of the dirt and debris from it. Take the time to check the filter and the pump too. Remove debris from the filters and check for signs of leaks, damage, or other issues that you may need to take care of over the winter months in order to enjoy your pool again. There are special chemicals you can add to the water in order to prepare it for winter. They include chlorine, powder, and alkalizer. Make sure you only buy quality products to ensure they work like they should. You can get them at any reputable pool supply location. You can also buy them online but take the time to evaluate the benefits that they offer based upon the reviews by other consumers. To save money on such supplies, look into buying complete swimming pool weatherizing kits. They will contain all of the materials you need to accomplish this feat. You will also find that it is less expensive than buying each of the items you need separately. Make sure you read all of the directions while using such products though. For example some of them require your swimming pool filter to remain turned on for a length of time. Not paying attention to such directions can result in your products not working as effectively as they should to protect your swimming pool. If you will be removing some water from the pool for winter you should only do so after the chemicals have been added to the water. Place a sturdy cover over the water in the swimming pool as well. This will prevent debris from building up in the water including dirt and leaves. You also don’t want water from rain and snow to get into the swimming pool. It can create layers of ice that will melt and create a mess for you when it does. The cover needs to be a good fit. It also needs to be very secure to fight off strong winds. If there is heavy rain or snowfall you don’t want it to give in because of it. There are manual covers you can use that will need to be put into place. This is generally a job for a couple of people to accomplish. If it is possible you will be using the swimming pool at times in the winter you may want to get an electric tarp cover. With the touch of a button it can be put into place and then retracted. While they are pricy you will find them to be well worth the investment. You will need to remove the filter hoses from the swimming pool. Store them in a cool and dry area. You don’t want them to get too cold or they will end up cracking. Then you will have to replace them when you are ready to use your swimming pool again. If you will be using the pool some in the winter then you can leave them in place. It is a good idea though to invest in insulated ones so they will be well protected regardless of the elements.